Arm yourself for a knightly adventure when you carry the Edwin Stage Combat Sword in hand.  Designed for realistic stage fighting and historical costume use, this stage combat sword is inspired by the blades of early medieval knights. Made of high-quality spring steel, the blade has a blunted edge and a rounded tip for safety. Wrapped in stylish black leather, the grip is attached to a straight, silver tone cross guard with a matching rounded pommel. 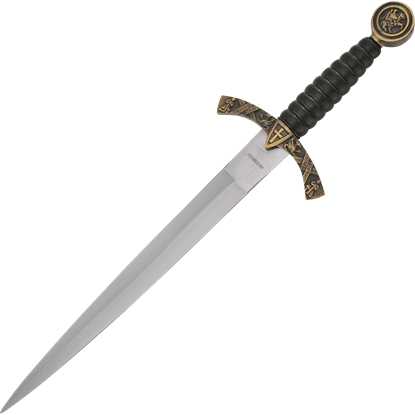 This sleek medieval blade is designed to be wielded one handed.  Any minor notches seen along the blade are not defects but are a result of the swords resistance testing. 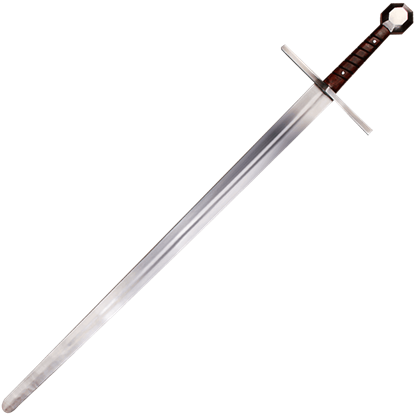 Whether lending authenticity to a medieval stage production or worn for costume purposes, the Edwin Stage Combat Sword is a stylish and fearsome blade to have at your command.